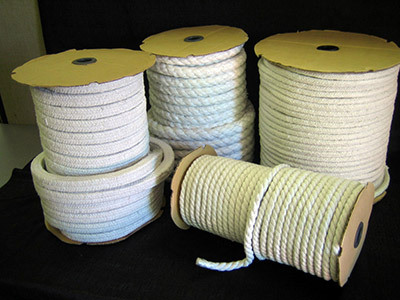 Ceramicfiberonline.com ceramic fiber textile family includes ceramic fiber rope, braid, cloth, tape, and sleeving. CeramicFiberOnline.com’s ceramic fiber textile(s) are made from alumina-silica ceramic fiber, free of asbestos. 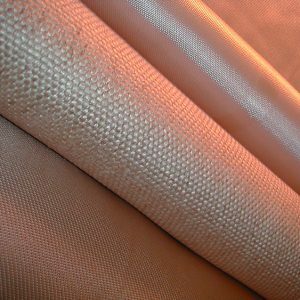 These ceramic fiber textile materials can be used in different industrial applications under temperatures up to 2300 °F (1260 °C) and have excellent chemical stability and strong resistance to thermal shock and corrosion attack. Exceptions are hydrofluoric and phosphoric acids and concentrated alkalis’. 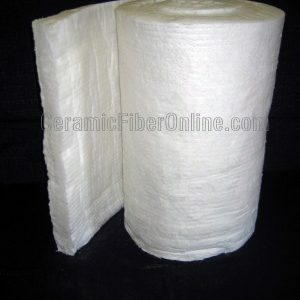 Ceramicfiberonline.com ceramic fiber textiles also resists oxidation and reduction. If wet by water or steam, thermal properties are completely restored upon drying. No water of hydration is present. Ceramicfiberonline.com textiles contain 15% organic carriers, which helps to establish physical formation of products. The carriers burn out at about 750 °F (400 °C). CeramicFiberOnline.com ceramic fiber textiles also contain reinforcement insert materials of either inconel wire or continuous fiberglass filament to increase handling strength during installation and enhance fiber durability to rated temperatures of 2000 °F (1093 °C) for inconel wire and 1200 °F (649 °C) for fiberglass filament. Ceramic Fiber Spun Blanket Size: 8 lbs/cu.ft 0.25" x 24" x 300"